I've always loved questions. (Perhaps you've noticed — my lyrics are riddled with them.) I love musing about life's winding road, always curious about what adventure lies around the next corner. Through the years, I've learned to appreciate the many questions that I have faced, both in my own private life as well as those I've faced in public. What experiences have you had in your life that lead you to write the way you do? What led you to Christian music and why did you leave it? How is it that you realized you were gay? When are you going to write a book about all this stuff? 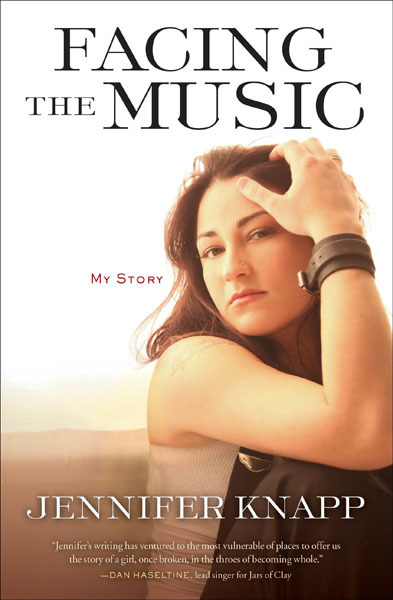 After many requests, I've finally bitten the bullet and branched out into writing it all down for Facing the Music, coming October 7 and available for pre-order now. In the book, I explore what have become the major forces that have influenced my path in life and the joy I've had in both the blessings and the challenges presented. From what life was like growing up, falling in love with music, the impact of finding faith, as well as navigating the impact of my coming out, taking the opportunity to write this book has been an adventure all its own. I've always believed that each of us have an incredible gift to share with the world. We each have an adventure waiting for us in discovering what we have to offer and accepting the risk to share it with others. As my listeners and supporters, you have reminded me of that as you have shared your own with me. So now, as so many of you have asked, I'm humbly honored to be able to share a little of my own. The primary purpose of this site is to serve as a voice for LGBT Faith Equality. Sexual orientation and gender identity have deep spiritual ties that lead many people to examine their lives against their respective faith traditions. For those who have experienced prejudice and judgement in their journeys, I hope you will find healing here. For those who have experienced joy, I trust you will share it. Everyone is welcome here. You don’t have to be gay. You don’t have to be religious. All that is required is a curious spirit and mindful heart. Help me get the Inside Out Faith network started by plugging in to our Facebook and Twitter links. The goal is for IOF to be an interactive and helpful place to hang out. So let me know what tools, information and fun stuff you’re looking forward to before we put the hammers away!